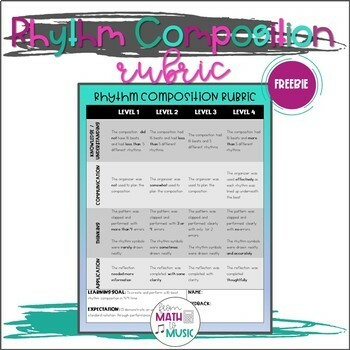 This Rhythm Composition Rubric is part of a rhythm unit I taught to 5th and 6th graders who had a very limited understanding of rhythms. 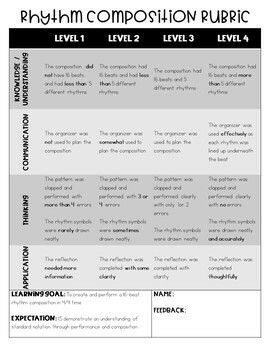 Use this along with the Rhythm Composition Graphic Organizer to evaluate their learning. Make sure to check out this post and this one for how I used this in my class! for freebies and product updates.